Company name included in event title, and used every time the event is mentioned. Opportunity to run ads on Jumbo-tron during event. Company logo has top placement on event t-shirt. Company logo has top placement on event website with link. Company onsite display opportunity on stadium concourse. Company receives 1 court (includes a 4 person team) plus up to 4 additional teams. 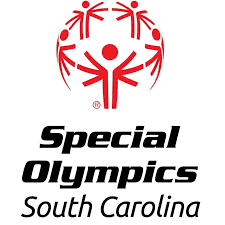 Gold Sponsorship at the Special Night for Special Olympics gala, including a table for 10 and name recognition on all event collateral and social media. Hospitality Tent is the location where morning beverages and breakfast are given out, next to the beer truck (high traffic area). Company logo on Event Koozies. Company logo prominent placement on event t-shirt. Company logo with link on event website. Company recognition in the lunch area. Company logo has prominent placement on event t-shirt. Company logo on Jumbo-tron during the event. Company logo on event website. Company receives 1 court (includes a 4 person team) plus 1 additional team. Company logo on event t-shirt. Company signage on your court & “real estate” at the end of the court for tent, coolers, & chairs. Bloody Marys and Mimosas in the morning with continental breakfast. A chance to advance from the morning round robin play to the afternoon Bocce Bash Championship single elimination play. The opportunity to win the 2019 Bocce Bash, capture the Bocce Bash trophy for a year. The winning team name will be engraved on the Bocce Bash Champions trophy.